Dr. Hall began conducting research on spirituality and spiritual measures in the early 1990s, and is now recognized as a leading scholar in this area. This early research led to a significant focus working with Christian universities, seminaries, and churches, which included several large grant-funded studies on spiritual development. In 2003, Dr. Hall developed the STI to meet the need for a spiritual assessment tool that combines theoretical depth, scientific rigor, practical utility, and national benchmark norms. He developed a group report for colleges, churches and Christian ministries, and an individual report to help people grow in their spiritual journey. Over the past decade, over 32,000 people have taken the STI, and the benchmark norms grow on a daily basis, providing increasingly robust scores. In 2004, Dr. Hall partnered with the Coalition for Christian Colleges and Universities (CCCU), which began offering the STI as part of the Comprehensive Assessment Project. Several years later, Dr. Hall began partnering with the Association of Biblical Higher Education, which now endorses the STI for use by their member schools. Over 70 Christian universities and ministry organizations have used the STI to date. Scientifically validated assessment tool designed for individual spiritual growth, program evaluation & improvement, and research. Based on a relational model focusing on the transformative power of relationships with God, others, and spiritual community. 33 scales grouped into 5 domains of The Connected Life; 24 programs and 24 student outcomes rated on importance and impact. National benchmark norms update daily and provide meaningful comparisons. Individual and Group Reports available. Used by over 70 colleges and organizations and 32,000+ individuals. Rooted in the Industrial Revolution, our workplace cultures are out-of-date. If you’re struggling with engagement at work, you’re far from alone. In fact, 87% of workers around the world aren’t motivated to give their best at work. Why? They don’t feel seen, heard, or valued in their workplace. They don’t feel connected. We’re experiencing a connection crisis. Research demonstrates that meaningful human connection at work is the biggest driver of employee engagement. Engaged employees = healthy, high-performing organizations. Employee engagement surveys and programs are not enough. Only a more holistic approach that addresses organizational culture (and subcultures within organizations) will improve employee engagement and organizational performance. 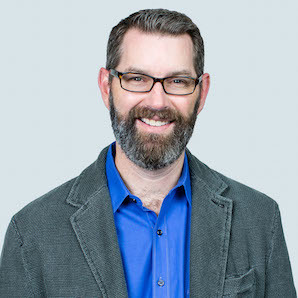 Todd is currently Professor of Psychology at Biola University, and Co-founder and Chief Scientist for Connection Culture Group, a consulting agency that focuses on helping organizations develop a culture of connection. He also serves as a Senior Fellow for the Association for Biblical Higher Education. He blogs at drtoddhall.com and is a regular contributor for the Human Capital Institute. Todd is one of the leading scholars in the measurement of spirituality, spiritual development, and the integration of psychology and theology. He is the co-author of Psychology in the Spirit, and Transformational Psychology, one of the five views in Christianity and Psychology: Five Views, both published by InterVarsity Press. Todd is a licensed psychologist in California, and holds a PhD in clinical psychology from Biola University and a doctoral specialization in measurement and psychometrics from UCLA. He and his wife, Liz, of 25 years have two sons (one in high school and one in college) and enjoy traveling and hanging out together at Disneyland (his favorite ride is the Cars ride at California Adventure).